We offer a wide range of services to keep your garden looking beautiful. Take a look at our gallery to see some of our previous jobs. 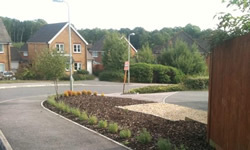 Thinking of improving or tidying up your garden, why not talk to us? Whether you want to spruce up your garden or create a professional, manicured look for your office building our landscaping experts can offer you ideas, produce detailed plans and put them into action. We have years of experience of transforming gardens and other outdoor spaces so that they are a fun, enjoyable place to spend time. 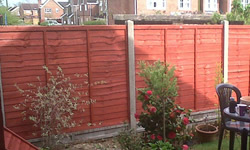 If you are looking for fencers to remove and install a new border or a team of professional landscapers, we can help. "APG have been servicing our garden for 12 years and are totally reliable, helpful and always courteous. 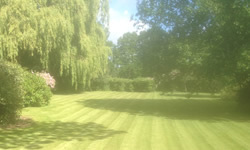 We would not cope without them and highly recommend them"
Whether you're looking for fencers in Ashford, gardeners in Canterbury or landscapers in Maidstone - APG Gardens are here to help transform your home. Free quotations on all services. We are based in Ashford and cover all of the local areas including Canterbury and Maidstone. We hold Public Liability Insurance and are Registered Waste Carriers; qualified in the use of horticultural herbicides.